My Beauty Diary: I'm getting Married! Next year to be exact..
Actually I want to write a post about this happy news long time ago, but again I'm very busy with my daily life and also wedding preparation. You know wedding can be really complicated in Indonesia. So, BF proposed me earlier this year and I said YES *of course hahahaha*. We're planning to get married next summer. 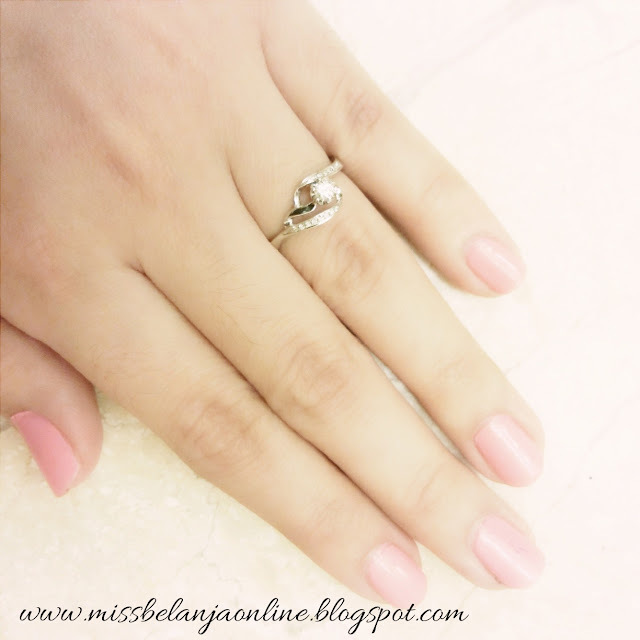 If you follow my Instagram, I've already publish the same picture of my ring on the day he proposed me. Some of my close blogger friends also already knew about this news. Why I decide to publish it now on my blog? No special reason, I just think December is a happy month so I need to add more happy news to make it even happier hehehehe. Plus, maybe after this I will flood my blog about the wedding preparation. So, of course I need to make the announcement first, right? Talk about my relationship~ I've known my BF since 2008 and we've been together for 5 years, will become 6 next year. We go to the same college and had a same major. No, he isn't my first boyfriend and so does me for him. In fact the one that introduce me to him was his ex-girlfriend *who became my friend* hahaha how funny is that? We started as a friend, same like millions people outside there. We're not a close friend to begin with, but somehow we always manage to have several same subject during the semester *Is that fate? lol* After 2 or 3 years known each other *and also many events in between* we decide to start a love relationship. Our personality also very different. While I love being alone in my room, listening to music, watching dvds, and can spend hours in front of my computer just to browse anything. My BF on the other hand is more extrovert. He likes to spend time outside house, hanging out with friends (I also love to do this, but sure not as often as him). While I enjoy most western, korean, japanese, and whatever food except Indonesian (I barely have any favourite Indonesian food except for penyetan), His favourite food is Indonesian hahahaha. I can read few books in days, while he will fall asleep after few pages. Though there are many difference between us, I still believe that he is the one. After I knew him for years, even until now. I still admire him so much. He never fails to make me laugh. When I was young, I never imagine I will love someone as much as I love my mother. But, God sure have a plan, isn't HE? that way two people won't make the same mistake "
congrats for both of you, Natasha... good luck for preparation ! siap- siap hectic dan deg2an bahagia..^_^God bless..